The autumn equinox usually falls on about 22nd or 23rd September and marks one of two days each year when daytime and nighttime are equal length - the other being the spring equinox in March. We've put together a little collection of activities to mark the date. 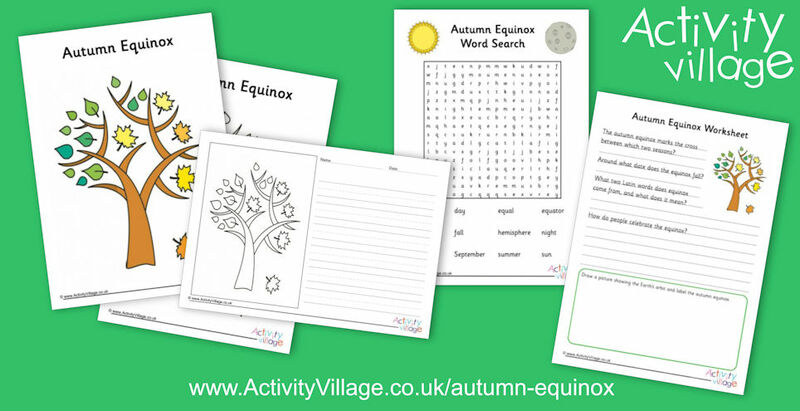 Kids can learn a little about the autumn equinox, have a go at a word search and worksheet, write about it or colour in our colouring page.